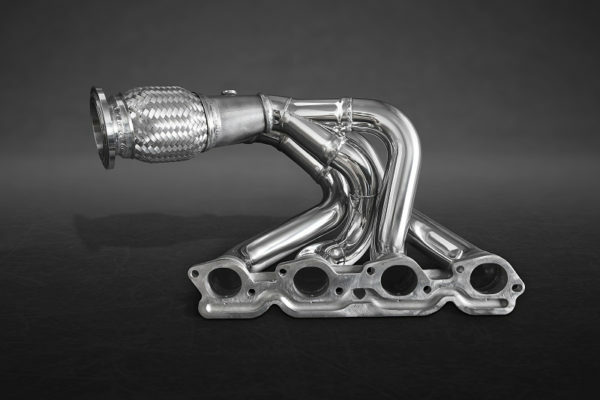 We have designed a header, that works on the 4 in 2 in 1 principle. 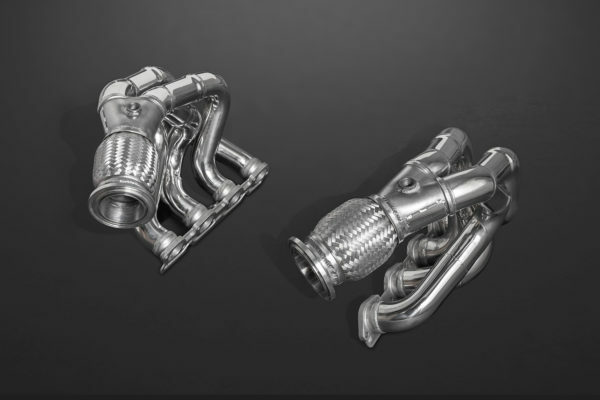 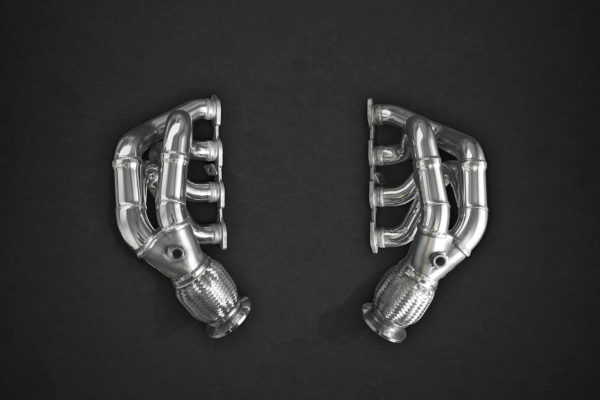 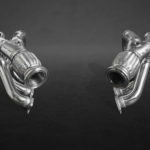 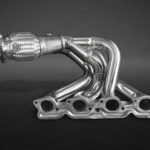 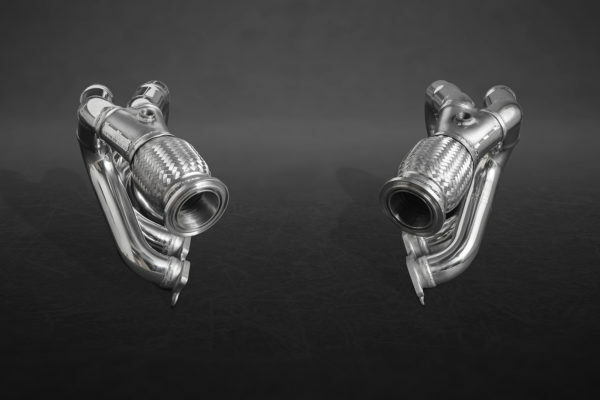 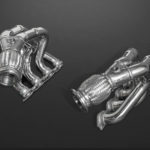 The header is completely made from stainless steel 1.4828 and features a significantly changed pipe routing compared with the stock manifold. 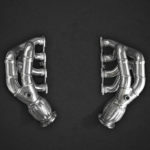 The header also fits on the original mounting points and a replacement of the original manifold can be carried out without any problems.